Integrate A Custom Billing Software That Automates- Host Now! Choosing and opting for the best custom billing software is one critical decision for the business. The complexity of choice rises even more when you have thousands of options available in the market. With the right solution, you can eliminate cumbersome manual processes and integrate with third parties that provide an ideal solution. The best enterprise billing software is the one that will help you overcome your enterprise invoicing challenges. 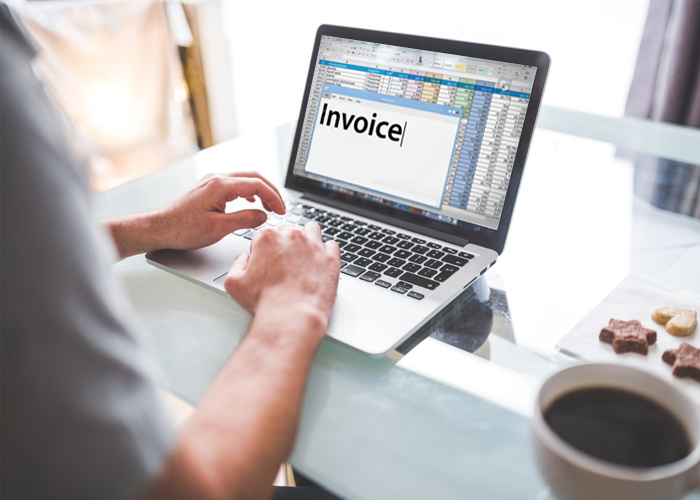 In order to make sure you’re choosing the best custom invoice software, list down top challenges faced by your enterprise in invoicing. Here is a quick list of challenges faced by any organization. Lack of customization requirement as per your existing invoicing process. Payment & Invoicing approvals take too long. Lack of visibility into invoice and payment data. Lack of B2B communication which slows down the optimization of revenue and payments for the business. 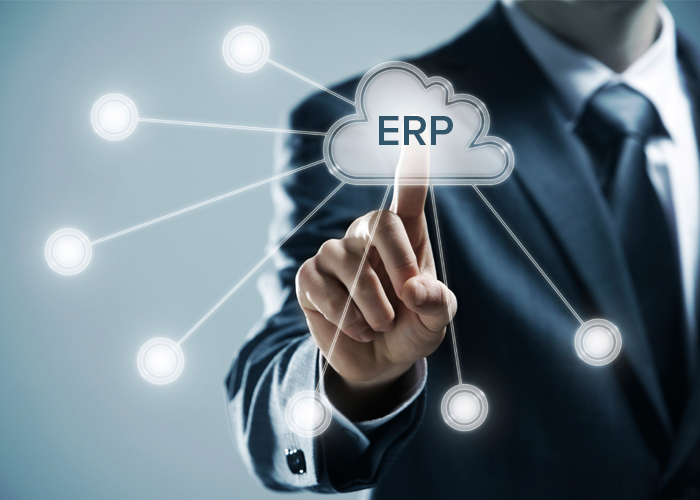 The traditional ERP systems are time-consuming with limited functionality. The complexity in the workflow management due to multiple bills processes and lack of staff analysis. Spreadsheets are inadequate and prevent one from understanding at a detailed level. Also, financial reports appear to be more complicated. Increased customer anger with inaccurate billing tends you to check for better solutions that reduce the risk of de-bundling. Besides these, there is a slew of challenges that reduce efficiency and add unnecessary costs. Despite all these challenges, implementing automated systems is easier than ever. But you need to find out what works best for you? Solutions are changing! How to start the journey? The enterprises require a cloud-based billing software that can keep the pace of business. The profitability of any account depends on the cash flow. The key factor for the revenue growth in enterprises includes new technological advances with innovative solutions to gain an overall competitive advantage. 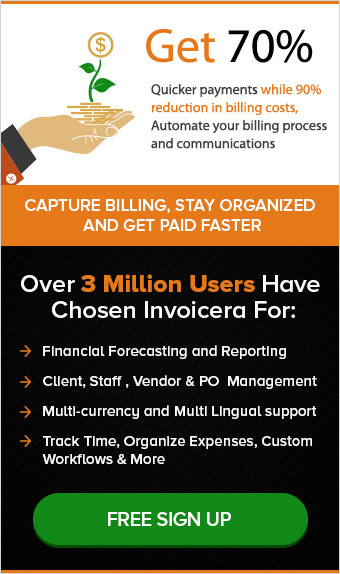 Invoicera turns out to be highly recommended Custom billing software with the ever-growing user base of 3 million users till now. 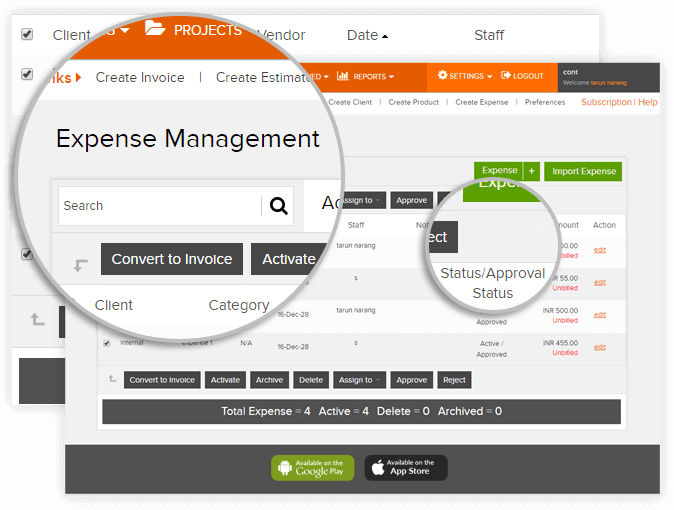 It consists of supported features from online invoicing, time tracking, purchase order, estimate management, expense management, financial reports, Custom invoice templates, Credit Notes, project/task management, staff management to Custom workflow management and more. For additional benefits, business owners should opt for custom billing software. It has become an urgent need for the insurance industry to stop using paper in their operational process. A simple insurance billing software can help any insurance company to reduce the usage of paper to the minimum. An insurance billing software helps in managing the insurance invoice process easily and getting paid on time. A large number of insurance invoices can actually make it difficult for you to track them manually. An insurance billing software provides the requisite tools. One can simply use an invoice dashboard to track the status of each and every invoice. It is easy to know whether an invoice is unpaid or due or pending. A single dashboard to track all the insurance invoices helps in managing the process very efficiently. An insurance premium becomes due on a periodic basis and the invoice needs to be sent every time. This becomes a huge challenge for insurance companies who have to deploy the requisite resources for sending out these, in a timely manner. Recurring invoicing and auto-billing ensure that the premium insurance invoices reach the client inbox, automatically. An insurance company usually has a large customer base to send out invoices to. It is important to send out professional insurance invoices with proper branding on it. Company’s name, address policies and moto are some of the common things that should be included in an invoice. Apart from this, you can also choose the most suitable template and customize your invoices accordingly. This is important to build a good relationship with customers and retain them for a longer period of time. An insurance company often manages a large number of invoices. Effective and efficient management holds utmost importance. This makes the process faster and makes it easier for the management. An insurance billing software helps businesses to delegate the invoicing and payment responsibility to dedicated staff. This helps in decentralizing the invoicing process without losing the much-needed control. When dealing with the prospective client you sometimes feel the need to send out estimates. It is an important aspect of the insurance business. It helps you send out estimates in real time and make the entire process of cracking the deal with new client faster. Simplify the entire process of making the payments for premium easier for your clients. Online payments with Invoicera, the insurance billing software are quick and hassle-free. Giving such options will help your customers retain their trust in your company. 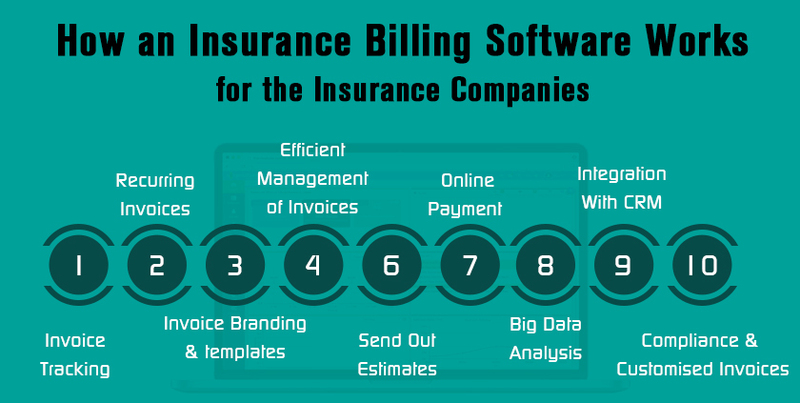 Using an Insurance billing software provides this facility for invoicing purpose. Understanding consumer behavior and what actions they are taking is a very important aspect of an insurance business. Big data can be gathered from various sources and one such solution is an Insurance invoice software. Using data of past invoice reports helps in doing a sales analysis of the business and taking necessary action. One of the core functions of an insurance business is customer relationship management. Integrating the CRM function with the invoicing system helps in improving the efficiency of processes manifold. The same processes can be managed with lesser resources and lesser man hours. To manage a big number of clients effectively and efficiently, it has become utmost important for insurance sectors to shift to insurance billing software. Online invoicing lets them manage their business smoothly and on time. It is important for insurance companies to stick by the given timelines in order to maintain decorum in the workflow. Invoicera is an insurance billing software lets companies manage their payments, clients, and business all in one place. It gives you better productivity and management of tasks. Have you ever wondered how much time you spend on traveling? According to the Corporate Travel Index compiled by Business Travel News, a businessman on an average spends $319 traveling per meeting. Travel Time is an important aspect of any small business service and must be taken seriously by the business owner. Understanding the true worth of your services will help you get paid for it more appropriately. While you involve a lot of your cost making services easier for clients, it is also important to realize the worth of each penny spent. There are various methods that can be adopted while charging for the travel time and one can choose the most appropriate one depending on the business requirements. Every business owner has a variety of clients and one can understand the needs and requirements of each one properly, before choosing how much to charge them. Here are some popular methods on how much to charge the clients for the travel time. One can charge the client a visiting fee for each of the onsite visits. This fee does not mention travel costs or costs of tasks per sec. It just mentions a price that will be charged for each onsite visit. This sort of fee leaves little room for confusion for the client. It gives a clear idea to the client, with respect to the visiting fee. As an alternative, one can use a combination of travel expenses and the cost of service, depending on the situation. How much to charge for travel time? A flat hourly rate is a simple way to charge the client for an onsite visit. It can be a separate rate for traveling to a client site for work. Again, this type of model is simple for the client to understand. Return travel price can be avoided in this case for making the client feel more comfortable with this model. A progressive rate for time and distance of the travel can be a very useful method as well. Lesser price for shorter distances and lesser time on the site and more price for longer distance and more time on the site is what is most appropriate. The client may not have a problem with this method because the more effort put in, the more will be the price. The only exception where the client may find it uncomfortable is where that time was taken is longer due to an unprecedented traffic jam where no real value is being added. The mileage-based rate can be a useful way to charge clients. This can be sufficient to recover the costs of fuel along with the cost of the time spent while traveling and the onsite visit. One can create a suitable mile based fee, so one can recover both the costs. Creating a higher rate for onsite can be justified because it includes the cost of travel as well. One charges normal hourly pricing when working offsite. On the other hand, while working on site, one can keep the hourly rate at 30% higher than the general rate. Some clients may object that the differential pricing is on the higher side. One has to make the client understand that the price is higher because it includes travel costs. How much to charge for travel time? Choosing the right tools can help you track your time better and make you look professional. Invoicera is a cloud-based time tracking software and an Invoicing tool that helps you in accurately calculating travel time charges and converting them into invoices instantly. The tool is preferred by small businesses for all kinds of time tracking and billing. Whichever method you choose, remember to analyze its rate structure that clients will be open competitively. Make an informed decision on how you charge travel expenses using any of the methods above. Let’s work with the effective support of online invoicing tool. Supply chain management is a crucial part in the processes of any large enterprise. Managing a global supply chain can be a daunting task. A hassle free flow of information between two parties is the foundation of an effective business relationship. It is important to consider each facet of supplier management chain to derive greater value throughout the sourcing process. Many organizations encounter difficulties in developing, implementing and operating partnerships. It is important for an organization to understand the value of each supplier and prioritise on the basis of same. Nature of products and services also play a key role in strategizing the supplier relationships. Customised solutions need to be developed for managing relationships with different sets of suppliers. To successfully achieve the supplier management challenges, here are some essential tips. A properly managed supply chain can create a competitive advantage for your business. The following best practices if implemented properly creates strong competitive advantage for a firm in today’s dynamic market. The key objective of effective supplier management is that it helps in reducing business procurement costs. The second most important objective is to ensure that there is a consistent flow of goods and services to the end consumer. One of the key goals of any supplier management system is to understand the costs associated with each supplier. One can analyse the cost associated with each supplier and compare it with that of other suppliers. This also helps in optimizing the cost of each supplier and who provides the best cost. Creating definite processes for supplier management is important for managing each of the suppliers effectively. The process once defined, must be adhered by both the parties.This helps in developing a business relationship that is mutually beneficial in the long run. A service level agreement is important for a successful buyer-supplier relationship. Having just a verbal agreements can lead to higher chances of dispute or confusion later on. An SLA helps in resolving any issues that arise between a buyer and a supplier regarding cash flow or raw material. The document acts as a ready reckoner for dispute resolution, while it also acts as legal proof of the business relationship. The faster the flow of information between the buyer and the supplier, the easier it will be to manage the inventory of goods and service effectively. One should ensure that all the requisite information is shared with the suppliers in a timely manner – so that they can make the deliveries according to the desired quality and standards. This is essential for efficient management of suppliers. Analyzing the demand and supply of goods and services, on a regular basis helps in planning the requirement well in advance. This helps the supplier deliver the right quantity at the right time. Planning improves the overall efficiency of the procurement process. This in turn helps in improving the ROI of the overall business process. The concerns of each and every supplier must be addressed. The problems that your vendors are facing must be resolved. This helps in removing the bottlenecks of the system. Building cordial relationships with suppliers is helpful in effective supply chain management. However, supply chain strategies must not only consider how to meet the immediate objectives, but also encompass the planning and management of all activities including logistics management activities. In essence, supplier management integrates supply and demand management within and across companies. Supply chain management optimizes all the four areas i.e. plan, source, make and deliver by minimizing inventory and rapid order fulfillment. The combined effect of supply chain management takes the supply chain a step further, is vital to its success. HOW ONLINE INVOICING CAN ACTUALLY MANAGE YOUR RELATIONSHIP WITH SUPPLIER? Implementing best practices ensures a company’s common goal of reaching effective supplier management. Adopt supply chain best practices to improve quality and increase revenue. Tips for Business Budgeting – Steps to Drastic Success! More money, more power! Is the saying of old times. Optimum use, maximum power! Is now what they say. Using each penny wisely is very important in business as you always thrive to achieve maximum profit with optimum utilization of resources that you have. Therefore, budgeting in business is the key to its success. Planning every activity, managing and tracking expenses helps you understand your cash flow and then evaluate for better performance. Define Activities: Planning makes the process easy! The best way to create business budget is to first define the activities of the business. Each activity has to be given importance according to its business needs in the organization. The budget on each activity can be defined on the basis of importance that it holds for achieving business goals. For example, an offline sales person will be beneficial or someone who will do it online will bring more business is up to you to decide, keeping in mind your target audience. Make plans that are realistic for the business and set goals that are achievable. Setting unexpected high goals will not only lead to over spending on all the resources but also de-motivating the team working on it. For example, Try increasing sales slowly and steadily. Set new and higher goals each month but don’t set five to seven times higher goals in one time. This will create pressure and make it harder to achieve. 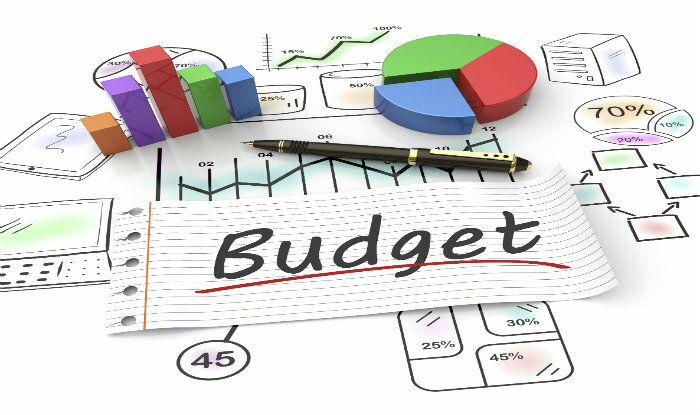 If a budget that is too high or too low will not be able to get the desired business results. 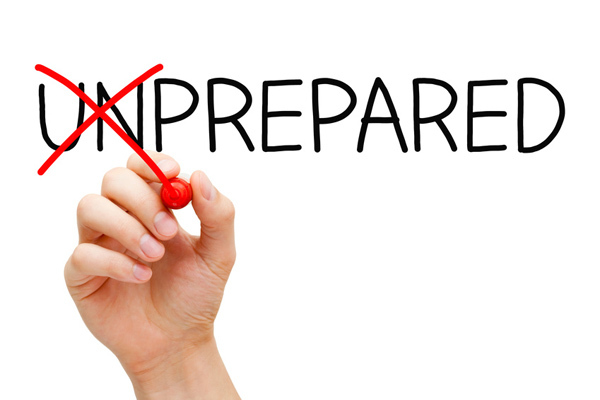 Planning For Contingencies- Are you? Every business has its own set of infrastructure that depreciates over a period of time. Contingencies for replacement of important machinery and equipment has to be taken care of in advance. Circumstances and situations can occur at any point in life, sometimes with prior alarms and sometimes unexpectedly. One should always keep in mind of such circumstances and be prepared well in advance. A set budget should be assigned for these occurring and recurring activities. It will stop business to get sudden budget shocks. Creating a budget works for the business if a thorough analysis of the past data is done in the most appropriate manner. Past revenues, costs and expenses must be taken into consideration before finalizing on the budget. Defining cost benchmarks for each activity and the kind of return expected helps in defining budgetary goals. Suppose one has to create a sales budget then benchmarking x amount of cost for y amount of sales helps in creating right budget for the business. 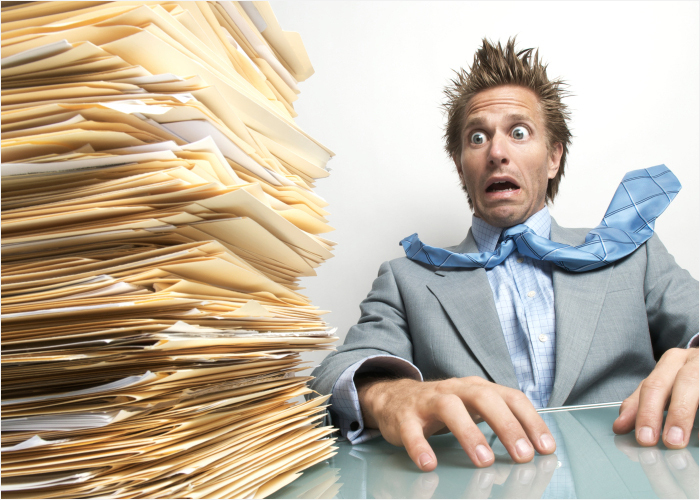 Related Post: Are Your Business Expenses Going Out Of Control? Here are some tips. Creating proper activity budgets help in accountability of staff members. One can create goals for the staff members to achieve targets as defined in the activity budgets. These should be a part of the key performance indicators, for those responsible for the said activities. Budgets in businesses are necessary to make the financial decisions and to stay on the track of growth and to achieve desired results. 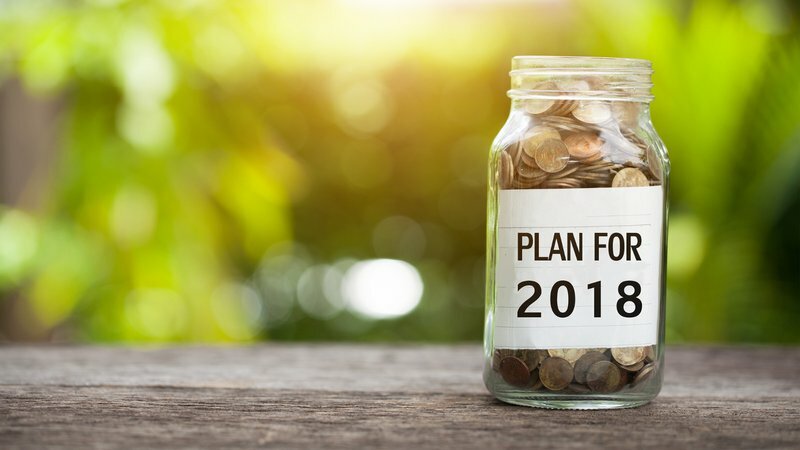 Budgeting is easy and an essential process that makes business owners forecast current and future expenses. The budgeting process helps to manage the financial stability and ensures to keep up the future goals realistic and a bit more accurate. 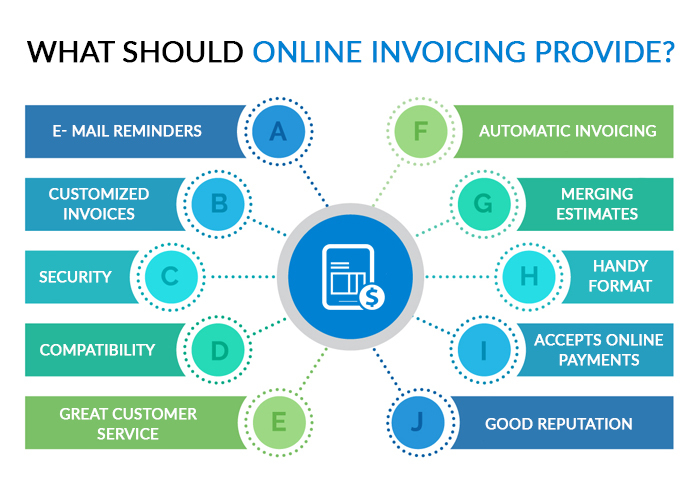 Using an online invoicing solution like Invoicera helps in creating the most appropriate business budgets. Invoicera is a tool that helps in holistic expense management and then accurate invoicing to get right amount of profit for the business. Also know more about the importance of cash flow management for business. Communication is the key to any successful relationship, whether professional or personal. 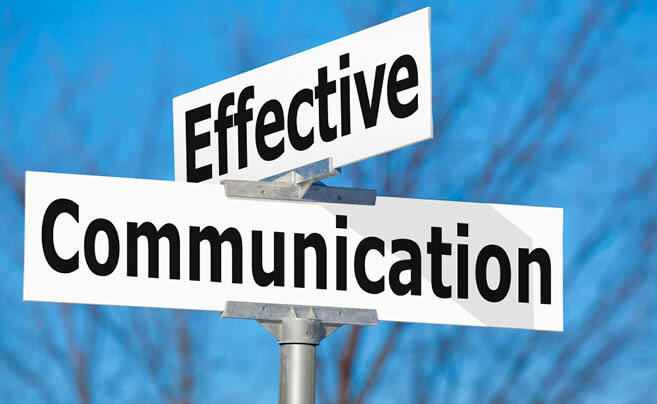 Effective communication happens when the message conveyed is decoded completely by the receiver and the feedback is given after the complete understanding. 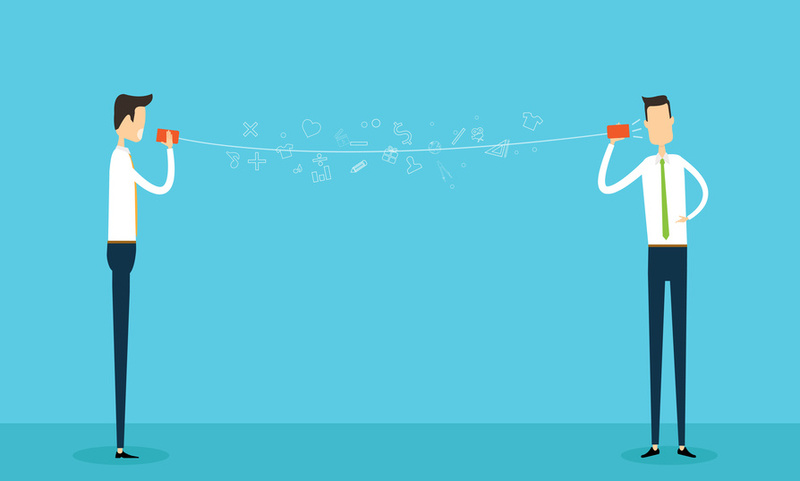 Effective communication in business is the key to its growth and success. Organisations or individuals should focus on communicating with clients on a regular basis to maintain a healthy and long term relationship. 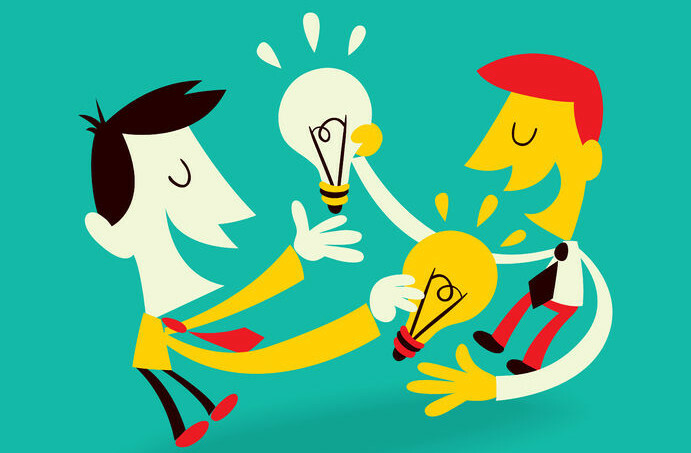 Sharing ideas with the client is one of the best ways to keep a positive flow of communication. Coming up with new ideas on regular basis helps grow the business as well as the confidence of the client in you. As a provider of services, one has to stay updated about the latest news and opinion in the industry and suggest the right course of action. This way, the client would respect you as an expert. Mentoring the client on a regular basis would help build a strong working relationship. Effective communication process helps in managing relationships with clients efficiently. A clear communication process helps you convey your messages effectively. Any communication process is incomplete without getting feedback. Make sure your client is able to understand your message properly so that they can give the best feedback according to their understanding and the flow keeps on moving. Keeping a record of past communications is very important to ensure that the next meeting or call is smooth. Manage client emails effectively to ensure that no communication from the client has been missed out. Having a definite communication with client helps them measure results better and plan with ease for future. Help them with actual information so that they can easily evaluate results and plan their future actions. Your client is interested in results from the services you are providing. Having a clear and definitive communication with the client helps them know that you are on the right track. Being prepared with a goal and task progress sheet while talking to the client or meeting the client helps in communicating the relevant news. Effective client communication is the key to building personal relationship that are strong and transparent. Getting to know the client on a personal level and talking about personal interests helps in breaking the ice and getting the client to open up and be comfortable. This leads to a positive business relationship. Wishing the client on their Birthday and Anniversary adds a feel good factor to the relationship. A healthy personal relationship helps you to understand their business and learn about their strengths and weaknesses better. As a service provider, you wish to impress the client with your expertise and knowledge. But, using jargons and industry abbreviations with your client may leave a communication gap and affect their understanding on the subject and backfire the paln no matter how good it might be. Talking to the client in simple terms and making them understand the pros and cons of a certain aspect of the activities is very important for them to take the right decision and avoid conflicts later on. Writing clear and concise emails help the clients to understand better what is exactly being communicated. Having appropriate subject line in the mail message ensures that the client with very first glance has a fair idea of what the mail consists of. Another important aspect is writing the mail in pointers so that the client can quickly glance through the mail and understand better what you are trying to say. You should always go out of your way to help your clients. A little extra effort that you will put will help you build strong relationship. Help and suggest them sometimes even if it gives you no monetary benefits, as this will help you build stronger relationship. While communicating with the client, the tone matters the most as it makes them understand the unsiad intentions. This makes the client know that you are available for help and improves your overall reputation. It is important to communicate with the client on a regular basis. This helps in gauging client satisfaction and taking necessary action, if required. Communicate on and before each delivery to attain effective results and healthy relationships. As a service provider it is crucial to understand the client business as much as possible. Regular conversations and meetings are an opportunity to understand the client business. One can also talk about one’s own business plans and how the service quality and the range of services, is going to improve, going forward. This helps in building a rapport with the client and strengthening business relationship. One must ensure that all sorts of transnational communication like invoices and estimates are sent on time and are error free. Using an online invoicing solution like Invoicera ensures that the B2B communication cycle from quote to cash is efficient and error free. This also ensures that the client is not hassled about making payments on time. Also, know more about some cost cutting ideas for your startup. Effective communication is the foundation for any successful venture. These easy tips can be easily followed in day to day business for growth and successful client relationships. Every step makes you closer to the goal, therefore working each day is important.With the help of Client Management software by Invoicera you can build a good relationship with your Clients. As a startup, it is common for all the business owners to go through various hurdles while running a business. Therefore, a positive attitude must be present towards your start-up business. In fact, innovation is a continuous process in a startup business. But it is not always easy to start a business. To achieve success for your business, it should ensure good product and service quality to its users. A bad decision or even a small mistake if done in the start-up business can set you back in the race. Moreover, there can be a majority of reasons for the failure of a start-up business. You might have made many mistakes at the start of your business and now when you have set up your business, there is the possibility that you will make mistakes. However, the critical terms involve a good business plan, hiring process and developing a core team for the success of your business. In this blog, we have listed out top 10 mistakes to avoid as a start-up. When you have so many plans viz. A, B, C or X for your business, the situation comes you have to start with only one business plan. If you find the plan you are working with is not going well then don’t be so rigid to change to another plan. Because changing plans don’t give you the assurance that it will definitely adapt to success. Stick to one plan and prepare yourself for what you are exactly selling, what solutions you are dealing with your clients. Be rigid with one plan not being to change to another plan immediately if the first one is not working. A right business thinking can take your business in the right direction. Similarly, a right business plan can save you from operating in the dark. And a right business plan comes from a proper planning which requires a proper financial plan, business idea research, and marketing plan. It helps in achieving your business goals and also tracks your day-to-day operations. After this, you need to identify the specific steps that you want to implement to take you there. Therefore, a good business plan will provide flexibility while setting up parameters on your ambition. Understanding the customer’s needs is the first and most important thing before starting up any business. It is good to plan good business ideas but doesn’t get so much wrapped in these business ideas that it will start affecting your start-up business. In fact, a business can go long successfully only if it is able to fulfill its customer’s needs. Do start your business with a clear cash flow plan that details every business metrics. It will help your business to survive in the short term and succeed in the long run. 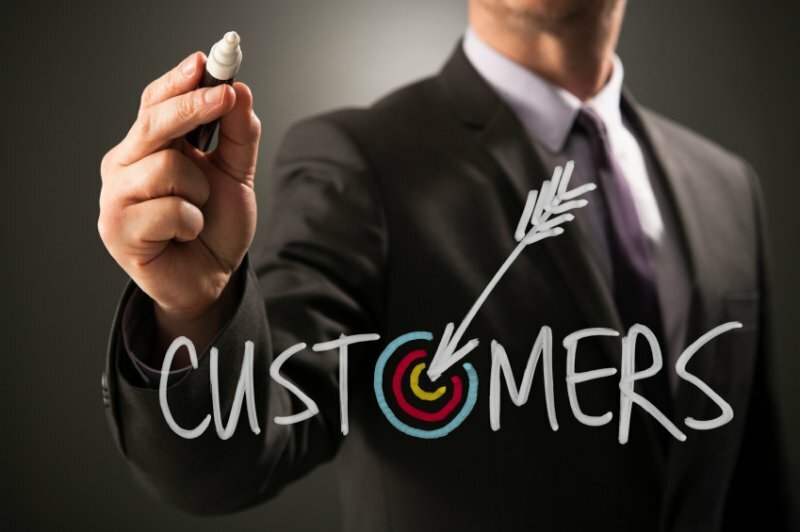 Following the passion of successful business is good but at the same time forgetting your target audience may harm the overall goal of your business. Business owners should be sensitive to the kind of response they get from their audience. It is observed that entrepreneurs often go with their own ideas. These ideas flourish in their mind and lead them to burn out mentally. Due to which they don’t tend to focus on their customer’s needs and just implement their ideas to get success. So, it is not good to stick to your passion only and try to understand your target audience for whom you have started this business. 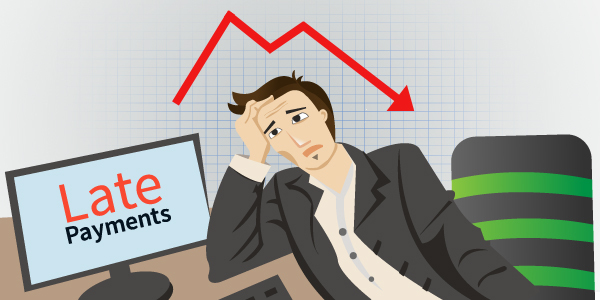 The biggest start-up mistakes that business owners make is misinterpreting the market. Whether you are underestimating costs or attracting the wrong target audience, misinterpreting your market may end your business even before it starts. So, don’t misinterpret your market before starting any business. Being a start-up, business owners find it challenging and risky to invest in marketing and promoting their brand in the world. Marketing can take many forms, from word-of-mouth referrals to traditional advertising to online marketing. There are no established rules when it comes to marketing. The best type of marketing for you depends on your business and your target audience. The mistake is to assume that you do not need to market and that the business will come to you. Being small business owners, technology can provide new opportunities, help them do the jobs more efficiently and even help them save money. New technologies can be intimidating and require time to learn and understand, but the unwillingness to adapt to technological advances can harm your business in the short and long term. You should be willing first to deploy these technologies. Only then your business can achieve success at a great level. Some small business owners who don’t want to spend too much fall at the other end of the spectrum and refuse to spend much of anything. While there are ways to start and grow a business even with limited funds, going too far and not investing any kind of capital in your business can severely limit your potential for success. You must have confidence in yourself and in your plan. If you do not believe in what you are doing, nobody else will. Your positive attitude will help you connect with potential partners and customers. You can not believe so much in yourself that you can not accept that your path is not the best solution. Do not stubbornly adhere to initiatives if someone else has a better idea. The small business owners may be willing to learn to be an expert in all trades, but it does not have to be that way. Effective delegation can be one of the best ways for new small business owners to build their businesses, free up their time for business activities that require their unique expertise and form a team positioned for future success. But without taking help, it is not possible to grow and achieve success. How you can avoid the stupid startup mistakes? To start a business is, however, challenging for almost all new business owners. But you can overcome this challenge with Invoicera which is the world’s most powerful Online Invoicing and billing tool. It helps in automating the business processes and communication. You can smoothly run their start-up business effectively and efficiently. All of the above-listed mistakes can be avoided with this tool. You can check out the following remedies for the above mistakes. To avoid the mistake of “Underspending”, you can use Expense Management software which digitizes your receipts and never miss any unbilled expenses. You can also use Financial Management Software which a great tool for automating and streamlining the business finances. If you are not going right with your business plan, then you can choose Project Management tool which automatically creates and starts new projects, log work hours, track bills and do advanced project research. With this, you can also use Task Management tool to improve Team’s productivity on daily basis. If you find difficulty in understanding your customers then you can use Online Client Management tool to simplify your business with interactive dashboards and customized reporting. 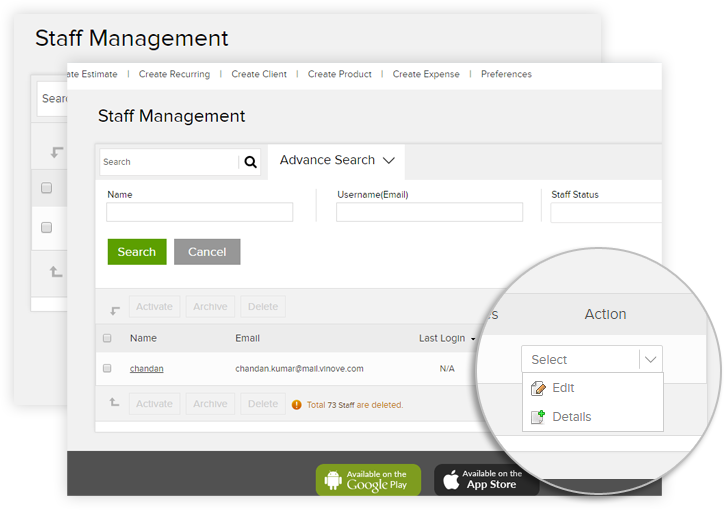 You can also use Staff Management tool for managing a full staff schedule, communication, reporting etc. It will keep track of your workforce from any device. 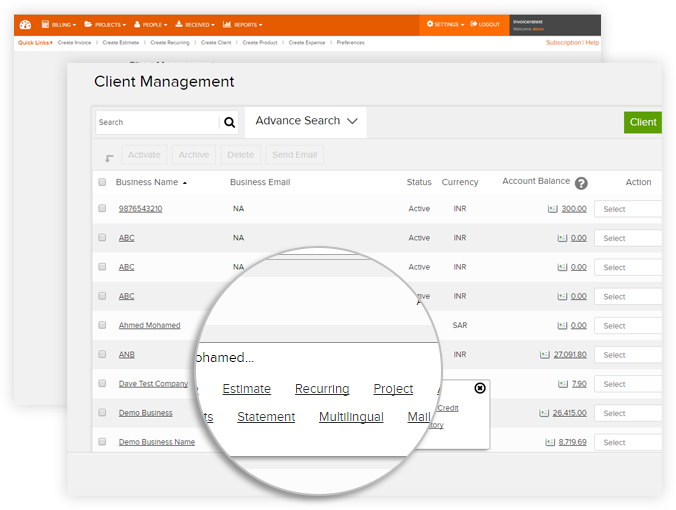 For better client management, you can use Estimate Management tool which creates and send estimates directly to clients. So far we have seen the top 10 mistakes done by businesses today which should be avoided if you want long-term success for your start-up business. The only key to avoiding such mistakes is to become aware of these mistakes and always make informed decisions in your business. By using the right set of tools, many entrepreneurs are constantly improving the efficiency of the business process which is a must. 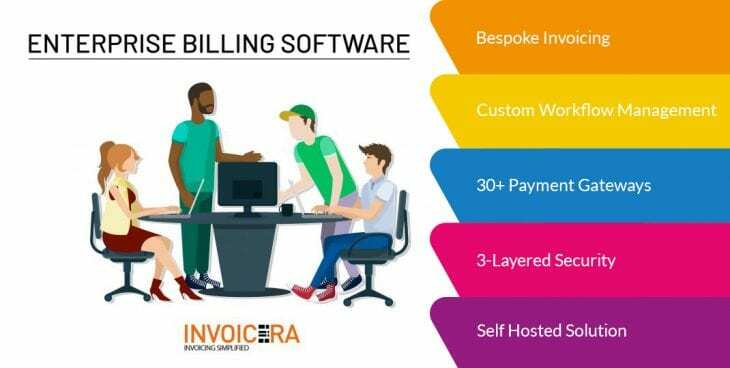 Online Invoice software like Invoicera helps manage the billing process, managing the invoicing process and finances of a new company or a start-up effectively and efficiently. Do you still send out printed invoices that tends to be inefficient for your business ? The invoices send via email get lost by the customers. 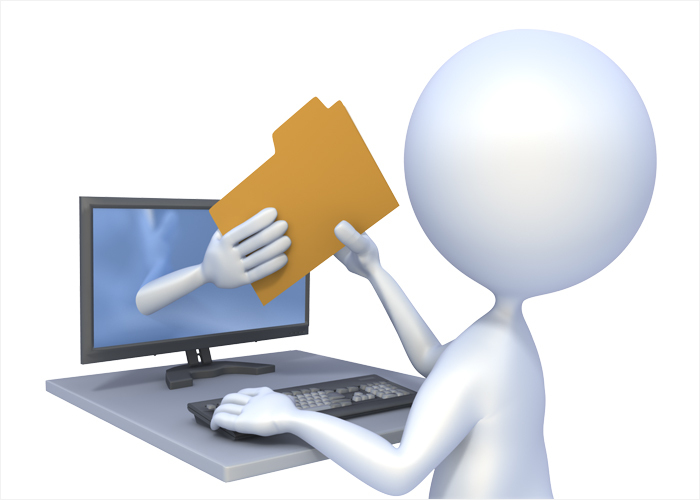 A lot of problems that come up with the paper-based invoicing are known to everyone. 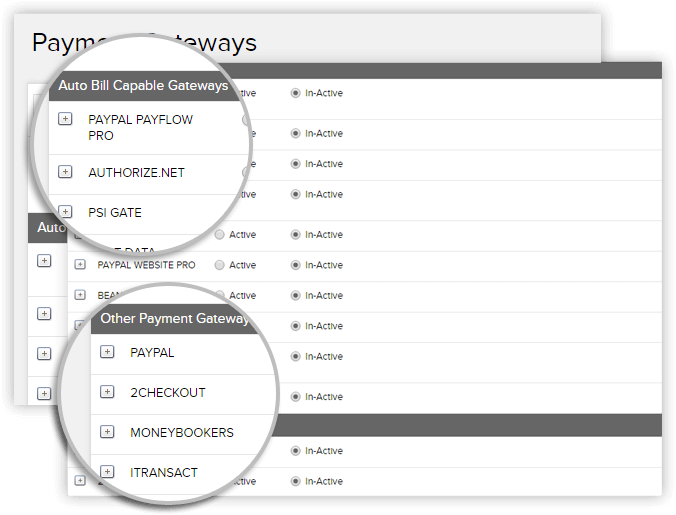 Keep track of the bills and the payments easily switching to online invoicing software. This reduces the costs and speed up payments that benefit your business. Also, send out invoices that reduces the workload in the timely manner. No need to chase for timely payments and invoices. Look for the online invoicing software that solves all your worries and built your credibility online. Eliminate many problems as mentioned below and keep your business more organized and efficient. Inefficient management of users signups, activations, trials, upgrades, and downgrades. The time required to fix errors is disproportionate in online invoicing process. 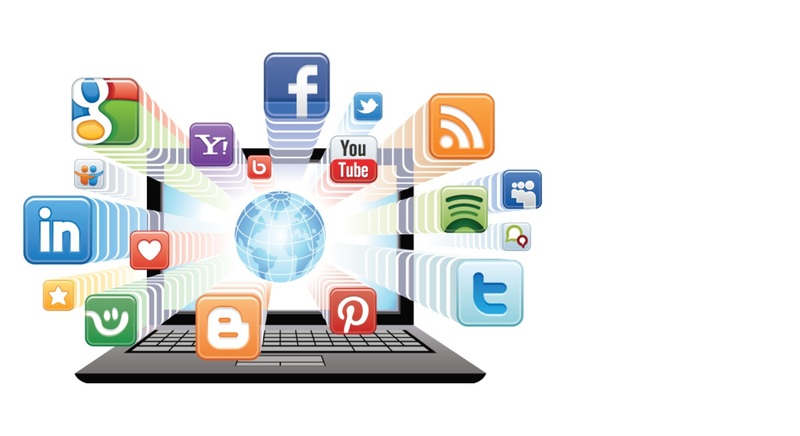 Be responsive of the client details and the prospective customers who contacts you. View custom reports that depends on different criteria such as customer category report, state wise, country wise, company wise report etc. Add up the key actions against these challenges to overcome and improve productivity to new level. Out of many challenges, there are no challenges that can’t be overcome. Boost your business by taking right steps with online invoicing solutions. Identify the plenty of ways to get over those hurdles. Automate invoice scheduling and relax. Create recurring invoices and retain clients. Automation ensures better resource utilization and cost cutting. Set up auto billing profiles and simplify the payments process. Simplified integration with existing CRM and ERP tools. API integration to integrate with 3rd party tools and eCommerce integrations. Achieve your overall financial goals with simplified reports generation. Manage reports of outstanding and payments for a healthy cash flow. 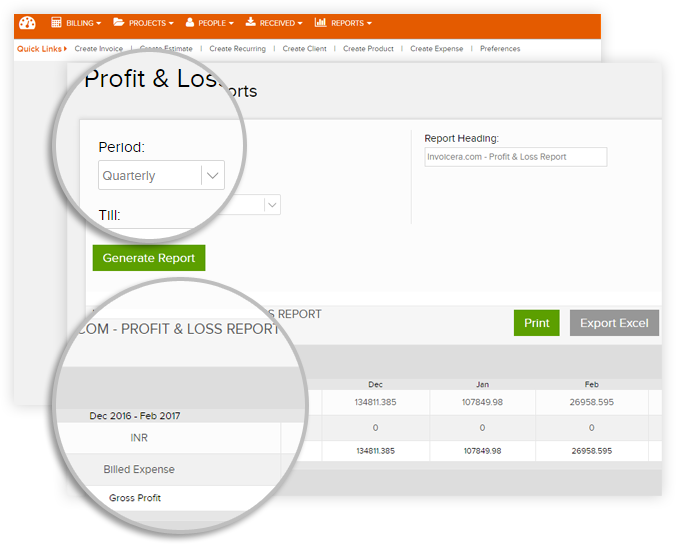 Manage all client estimates and purchase orders with ease. Ensure all B2B documents are managed efficiently. 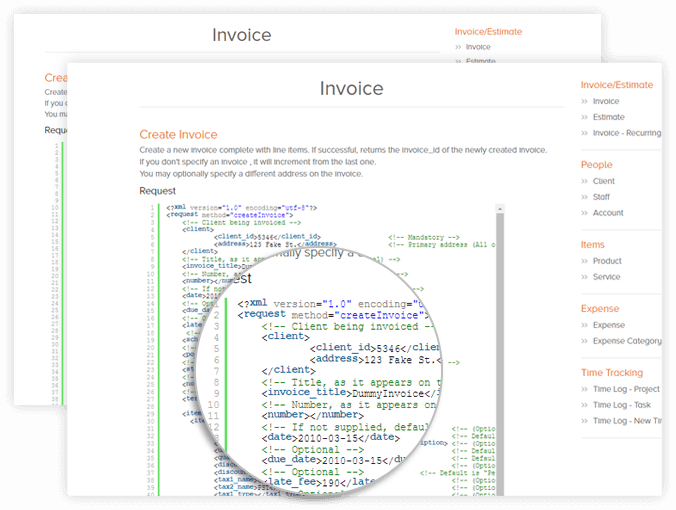 Integrate Invoicera with your e-Commerce platform and automate your e-Commerce invoicing. Benefit from a smooth invoicing and payments process. Subscription billing helps in sending bills to customers on a periodic basis, improving productivity of the invoicing process. This helps in retaining long term clients. Assign clients, sections and define roles for staff members. Control staff activity with permissions related to tasks and accessibility. Details of their last login can be checked. Estimate to invoice ratio of each staff member can be viewed. Detailed time sheets of staff members can be viewed on a weekly and monthly basis. Tasks can be managed effectively and efficiently. Appropriate tasks can be assigned to respective staff members. Customized invoicing solutions, according to specific business requirements. Add functionality requirements and improve business productivity. Otherwise, online invoice software is a wise investment that you won’t regret to make. You have a record of all previous invoices for your customers and any details you may need in the future can be well known with the proper usage of online invoicing software. 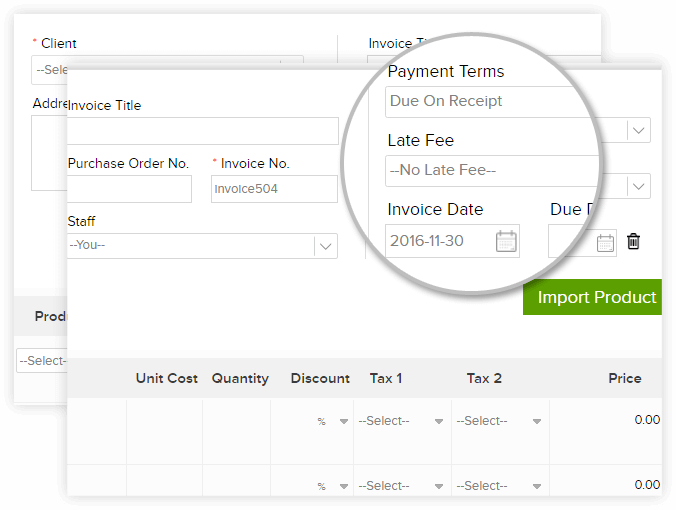 Look for very easy and quick solutions to add an item to your invoice. Experience improved cash flow by using an online invoicing software. There is a compelling evidence that manual invoicing processes cost more as compared to the small business billing software. The automation of invoicing for small businesses solution enables real-time monitoring of the invoice process helping businesses to maximize their working capital. While it provides significant benefits to the buyers, the benefits of the suppliers should not be underestimated. It provides improved customer satisfaction, better capital management, and cash flow benefits to the suppliers. In addition to the cost savings, the ability to automate the invoicing process and integrate with other business systems provides revenue generating opportunities. Boost your business by taking the right steps over these hurdles. Receive recurring payments, reconcile and manage them at any frequency with the help of the best invoice software for small businesses. Fix the options to track the number of invalid payments with exact recognition of failed transactions. Cost center, duplicate errors in purchase order allocation that mismatches its freights. Tax return filing, special VAT invoices, administration requirements of the tax authorities are more complicated. Ensure a secure connection between the company’s web server and the customer’s browser. Data securely stored and backup. Integration with client management system. To stay in business without any trouble produce invoices that comply with the laws of the countries you sell within. and, to manage this better you can opt for small business billing software. European Union requires the charging of VAT in the sale of the products and services online. Therefore, the use of small business billing software sets up to collect the correct amount of VAT required but would also help the customers to claim back VAT. The countries require the charging of GST on all the sales online. They have the best invoicing software for small business owing to the business sales. Follow these actions against the challenges discussed above to overcome them and improve productivity to a new level. Look for very easy and quick solutions with small business billing software. Automate invoice scheduling and relax! Small business invoice software allows to create invoices, get paid faster, track expenses and even collaborate with teams. best invoice software for small business allows you to create invoices, get paid faster, track expenses and even collaborate with teams. Automate late fee and payment reminders to get paid quicker. Automation ensures better resource utilization and cost-cutting. Receive payments with 30+ International payment gateways. 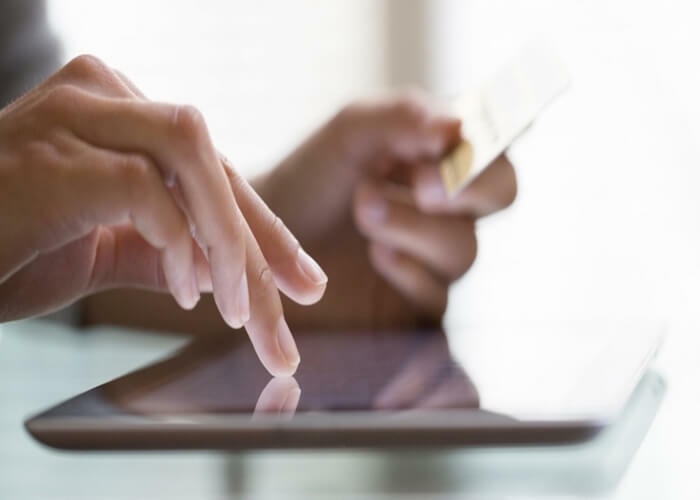 Benefit from a smooth online invoicing and payments process. Subscription billing helps in sending bills to customers on a periodic basis, improving the productivity of the invoicing process. This helps in retaining long-term clients. – Detailed time sheets of staff members can be viewed on a weekly and monthly basis. – Tasks can be managed effectively and efficiently. Appropriate tasks can be assigned to respective staff members. 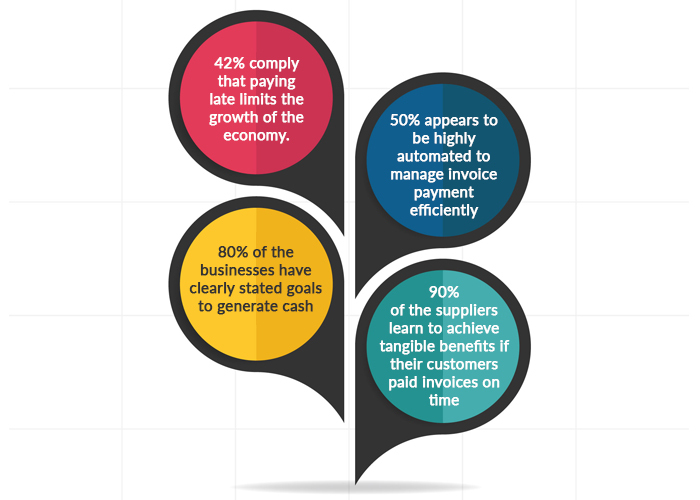 The invoicing process is often complex for a large customer base. Choose the best invoicing software for small business that can replace manual billing processes with 100% solutions easily and immediately. The small business billing software is a wise investment that you won’t regret to make. 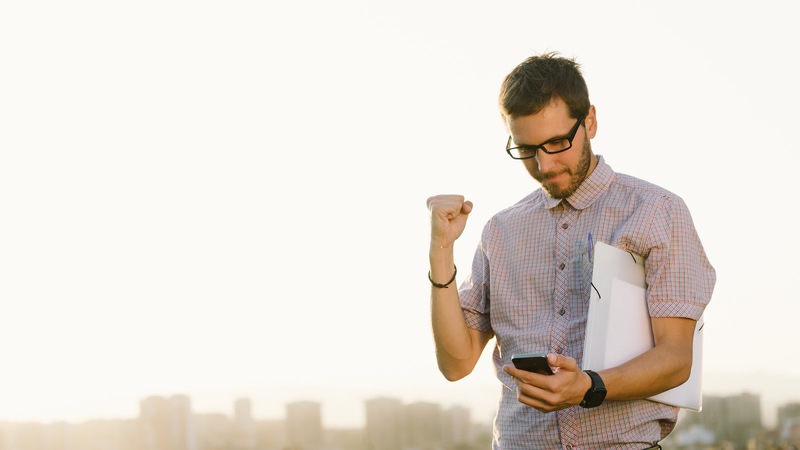 The benefits including everything from invoice format conversions, new customer connection activation, tax compliance assurance that made easy. Also, it brings considerable cost savings and better customer service. The integration of solutions for invoicing for small business substantially reduces administrative costs, drive efficiencies across the businesses by fully automating AR/AP processes. The small business invoice software enables global businesses and their suppliers to eliminate process inefficiencies, build strong mutually beneficially relationships and free up cash. This accelerates and simplifies the complete processing of incoming invoices. HOW INVOICERA ADJUST YOUR BUSINESS MODEL? 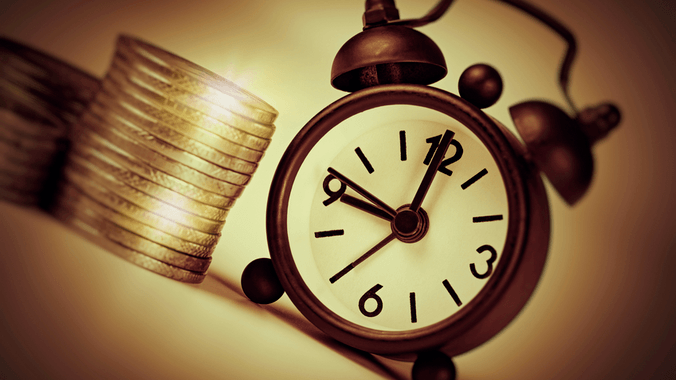 Are you still receiving Late payments from your clients… ? ………… I am sure that many of small business owners do! This is a problem most of the small businesses are conversant with but have been ineffective in finding a right solution. Every entrepreneur, businessman, freelancer, consultant, etc. goes through this quite frequently and perhaps daily. Ramifications of this are not worth mentioning as it takes a heavy toll on the business. 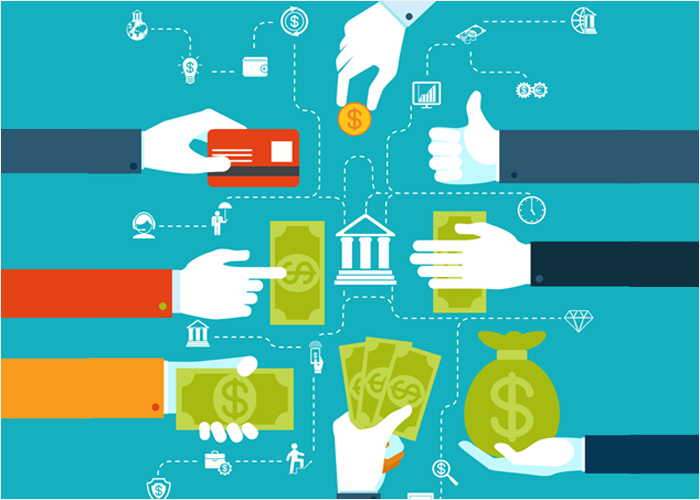 Ensuring timely payments are essential for the success of any business whether it is products or service based. Getting paid on time lets you achieve the desired outcome from the business. Also, it sustains the business in the long run. Here are some tips to follow up payments so to avoid a big deterrent to a healthy cash flow. It is crucially important to set the first follow-up for every client, it must be in the form of a gentle and effective reminder mail. Set this reminder one day before the due date of the invoice. 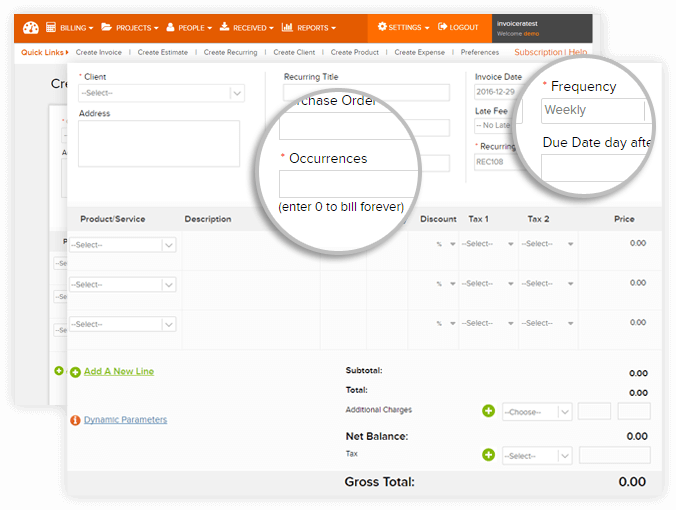 Using an online invoicing software like Invoicera can set the automated reminders. Always speak to the client in a positive tone. Go out of the way to help the client and make sure he is completely satisfied. 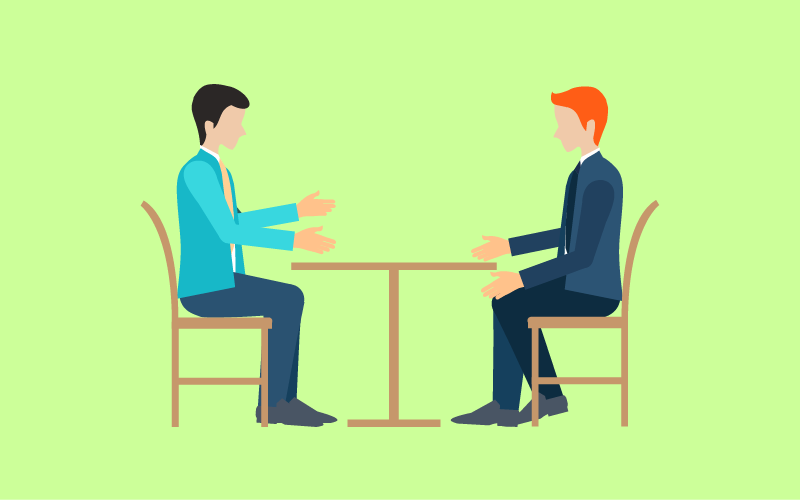 Having a one-on-one communication with the client on a regular basis helps in gauging the satisfaction level of the client. Sending out billing statements to the client along with a gentle reminder of the past dues is essential for keeping the payment cycle short. Giving access to such statements through a self serving portal is also useful in saving time and resources. Depending upon the relationship the client has, the payment policy and terms & conditions is defined. All the details regarding the due date and other payment terms must be added to the invoice before it is sent out to the client. While dealing with any client, it is important to understand their financial strength and credit history. It is not important to follow-up multiple times for payments if client has a good payment track record. In such a scenario, it is advisable to be patient with the client, who is most likely to pay you on the due date. This is another innovative way to follow-up for clients. Early payment discounts help in building strong relationships with the client. One can train the staff member to offer an early payment discount on a follow-up call, a week before the due date. Sending out thank you messages is essential to help foster this relationship. This could also be formed of personalized call from a sales personal, acknowledging that the payment has been received. Sending out “Thank You” messages can help foster the happy client-vendor relationships. ……… Online invoicing has taken over the manual processes, many business owners NOW ensures that the payments are flowing on time. The online invoicing include such a powerful feature to enhance the usability and increase overall efficiency. Invoicera brings quality services and builds happy relationships in the timely flow of payments. There was a strong need to include such a powerful feature that makes online invoicing and billing essential in it’s true sense. 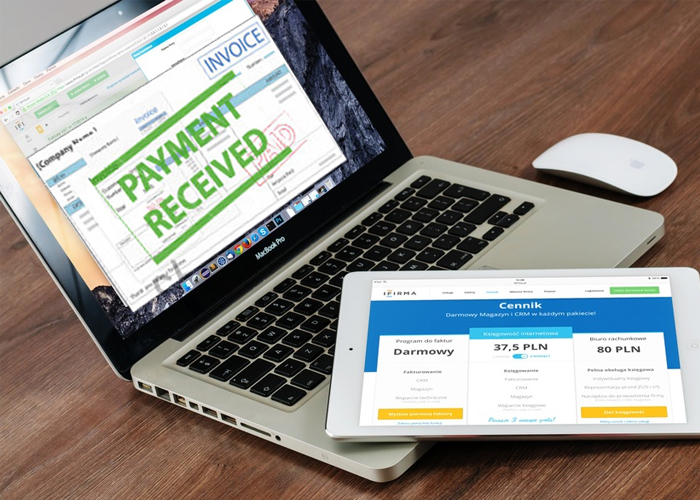 Though online invoicing has taken over the traditional billing, the basic purpose of invoicing gets defeated when payments are not received on time. Invoicera helps you to reduce the duration of payment cycles and Get Paid Quicker. 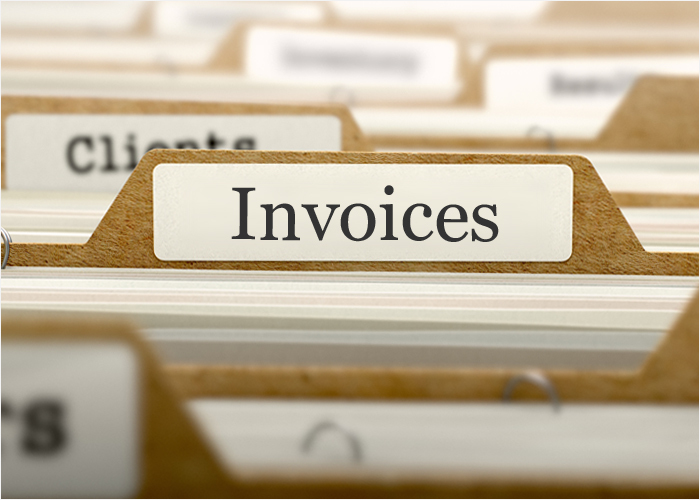 Online invoicing software helps you keep a track of each and every invoice and penny pending from the client’s ends. Analyzing detailed financial reports can helps you understand the status of each of the client outstanding and resolve all issues including delayed payments.